If you are trying to create a better life for yourself, it’s a good idea to evaluate the people you are close with to make sure they don’t exhibit any chronic, toxic behaviors. Toxic behaviors are not only unpleasant to be around, but left unchecked, the negativity they likely elicit from you can snowball and bleed into all areas of your life. It’s hard to be positive and optimistic when you are in a relationship that isn’t good for your soul. Here are 5 behaviors you shouldn’t tolerate from others. We all can be a little negative from time to time, so please don’t assume that everyone you are close to must be “perfect” and never do any of these things. However, if you are close with someone who exhibits toxic behaviors on a consistent basis, you might want to consider removing yourself from the relationship. 1. Gossip: Avoid relationships that center around gossip. As has famously been said: “Great minds discuss ideas; average minds discuss events; small minds discuss people.” Quality relationships are based on an exchange of ideas and excitement; this is what helps us grow, evolve and achieve our dreams. 2. Backhanded compliments: Backhanded compliments are a form of passive aggression (e.g. “it’s nice to meet someone who doesn’t care about the way they look” or “I don’t care what they say, you’re alright”). 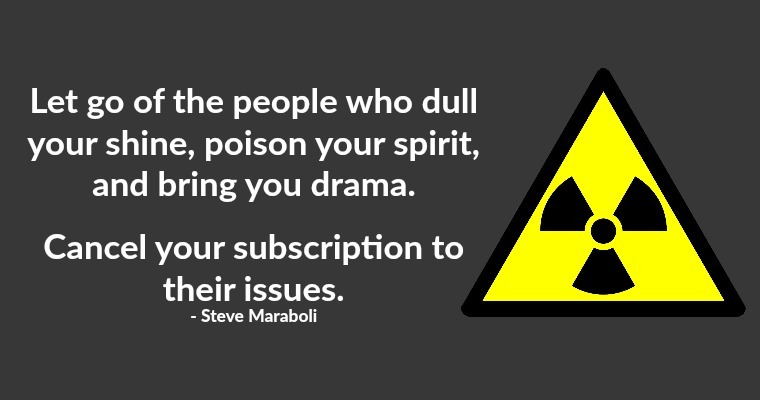 These hidden insults come from people who are radiating low vibrational energy. Good relationships will only uplift you with kind and genuine feedback. 3. Competitiveness: Constantly being one-upped or having someone nip at your heels is not healthy. People who are happy for your successes and confident in their own accomplishments are the only ones capable of providing you with quality support. The only person anyone should be competing with is himself or herself. 4. One-sidedness: Individuals who only come around when it suits them or who demand that things should always be done their way will likely leave you feeling marginalized and unloved. Good relationships demonstrate a solid balance of compromise and mutual respect. 5. Pointing out your flaws: Being close with someone who tells humiliating stories about you, criticizes your looks or likes to post ugly pictures of you on social media can be damaging to your self-esteem. The best friends and lovers will focus on your positive qualities and care about your feelings. If you feel that you are in a relationship with someone who exhibits toxic behaviors, you might want to think about distancing yourself from it. Even if you find that you can’t fully end the relationship you will benefit from pulling away a bit and resolving to spend more time with people who are good for your soul. Learn how to attract positive relationships that uplift and inspire you. You deserve to be happy and you deserve to be respected. Anyone who tries to make you feel otherwise should be held at arm’s length. 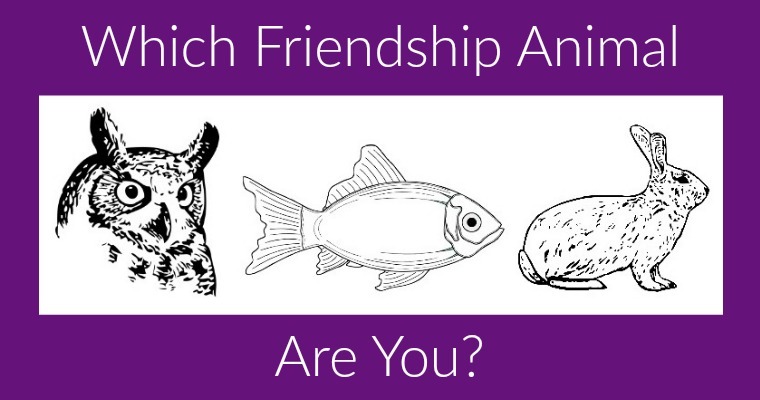 Which Friendship Animal Are You?